Car accidents can leave victims shaken, confused, or in shock. Despite having just gone through an incredibly jarring experience, crash victims must be particularly careful of what they say and do after an accident, as their behavior will be thoroughly dissected by insurance adjusters and defense attorneys. Learning what not to do after a Delaware car accident can help car crash victims avoid common mistakes that could damage their personal injury insurance claim or lawsuit. Failing to report the accident to the police. The officer who arrives on the scene will investigate the accident and fill out an accident report. Though this report can't be used in court to prove liability, it can provide a victim's attorney with valuable information. Apologizing for the accident. For some people, saying “sorry” is second nature. However, this is the last thing someone should do after a car accident, as even apologizing for the inconvenience can be taken as an admission of liability. Waiting too long to notify the insurance company of the crash. Most insurance policies require policyholders to inform the company of an accident as soon as possible, or risk having their claim denied. Failing to gather important evidence. Photos and videos from the accident scene, as well as medical records and receipts, can help victims support their claims for damages. Delaying medical attention. Car crash victims should seek immediate medical attention to ensure all their injuries are documented. 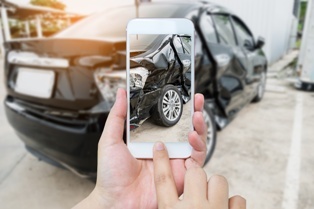 Having the car accident documented in their medical records can also make it easier to connect late-appearing injuries to the crash. Providing a recorded statement to the insurance company. Accident victims aren't required to provide a recorded statement to the other party's insurance company about the crash. If they do, the insurance company may try to misconstrue what was said in an attempt to minimize their financial obligation. Accepting a settlement without first consulting an attorney. Insurance companies will always try to get victims to settle for less than what they deserve. A knowledgeable personal injury attorney can help crash victims evaluate settlement offers to determine if they meet their needs. If you were hurt in a car accident caused by another person or entity's negligence, the skilled Wilmington DE car crash attorneys with the Morris James Personal Injury Group can help you fight for the compensation you deserve. Contact us today to schedule an appointment for a free initial consultation to discuss the details of your case with a member of our legal team.